Jim Dow’s photographs focus on the passage of time as it is recorded in landscapes from North Dakota to Great Britain to Argentina. 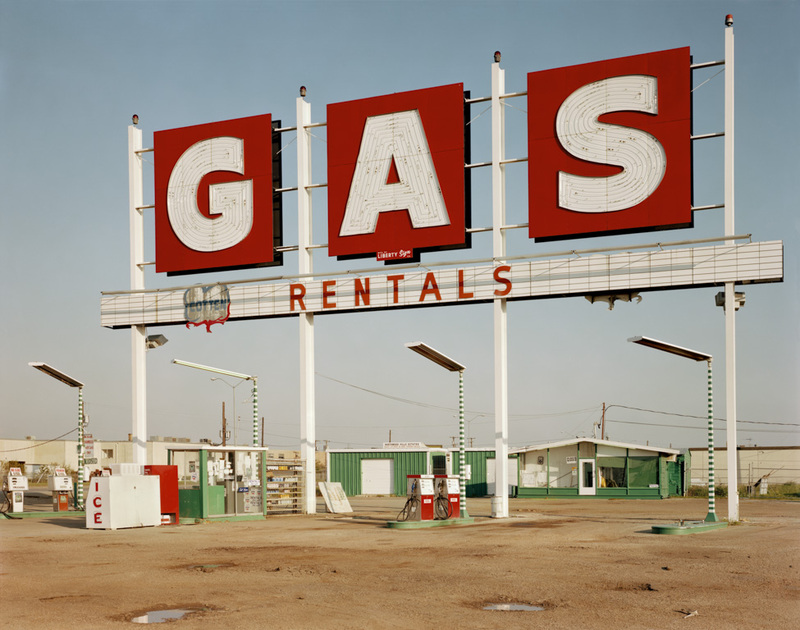 Using an 8 x 10 inch view camera, Dow turns his lens to roadside signs, aging buildings, and interiors that feel locked in another era. His images honestly record the scenes before his camera, avoiding sentiments of nostalgia while paying tribute to lands marked by past and current residents. A leading American photographer, Dow pushes his viewer to reconsider familiar surroundings and discern the beauty and cultural history hidden in modern landscapes. Dow first gained attention for his panoramic triptychs of baseball stadiums, a project that began with an image he made of Veteran's Stadium in Philadelphia, PA, in 1980. To date, Dow has documented more than two hundred major and minor league parks in the United States and Canada. Dow is an internationally exhibited artist and has received awards from the National Endowment for the Arts, LEF Foundation, and the Mellon Foundation. He was also awarded a Guggenheim Fellowship. His work has been published in American Studies (2011), Marking the Land (2007), Where We Live: Photographs from the Berman Collection(2006) as well as in international magazines and academic and fine art journals. In addition to teaching at Harvard University and Tufts University, Dow has taught photography at the School of the Museum of Fine Arts, Boston, for over twenty years. From an antojito purchased in Mexico City to a zapiekanka in Warsaw, street food is cheap, varied, filling, and often good. Frequently the formula is a wrap made from flour (bread, pita, tortilla, etc.) that encloses inexpensive, often marinated, meat; occasionally cheese; and always spices and garnishes. For some it is a fast way to stave off hunger pangs on the way to something else. For others, it is a nutritional must, consumed in haste before returning to toil. A 2007 report from the Food and Agriculture Organization of the United Nations claimed that 2.5 billion people across the world eat food from stands, carts, and trucks on a daily basis. In the United States, the taco truck, or lonchera, has become a symbol of a quick meal with an unequivocal taste and a means of assimilation and upward mobility. The men and women who staff the trucks have to deal with strict codes that enforce their movement; to flourish, their locations must be consistent and their arrival at an appointed spot timed to the minute. Yet after closing they become part of a fleet of gastronomic undead, a mobile diaspora rushing back to parking lots to safely squirrel away the vehicles of their economic dreams. United States Library of Congress, Washington, D.C.